Our students have ranged from 6 years old to 75 years young. One-on-one individual instruction creating balance and confidence. Carriage Gate Morgans offers a quiet, non competitive atmosphere for students with varied ability levels and individual goals to gain a deeper appreciation and understanding of horses. 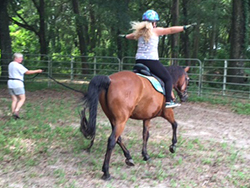 Students seeking to improve their relationship and overall performance of their own horses or who wish to have fun learning with one of the patient and gentle "teaching horses” owned by Carriage Gate Morgans will benefit from our lesson program. 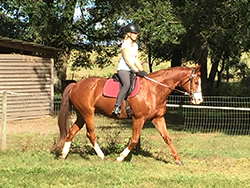 We enjoy working with a variety of equestrian disciplines including dressage, carriage driving, pleasure riding, pleasure driving, western, and trail. We are a full board facility that offers a quiet laid back atmosphere that caters to you and your horse. 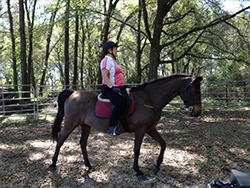 We provide excellent care and attention to all of the horses as if they were our own. Show and non-show horses of all breeds are welcome.